We believe in our Calgary yoga community. We believe in connecting yogis from all walks of life. We believe in celebrating this city. 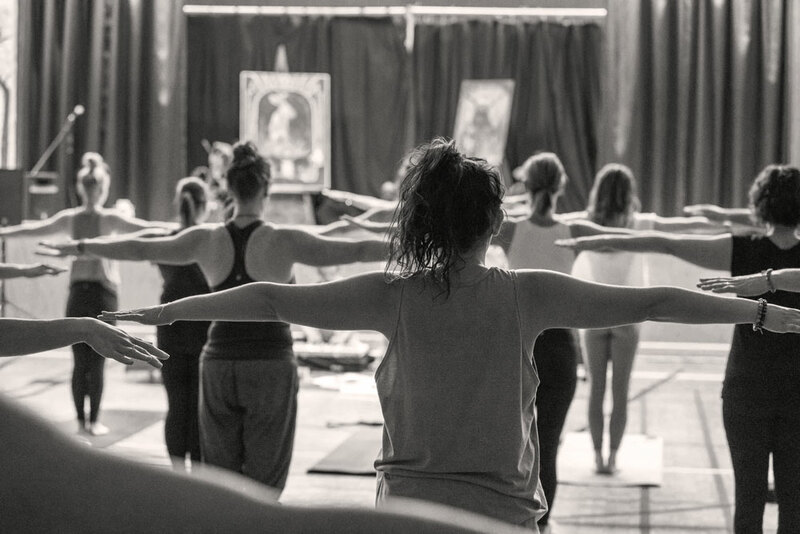 We believe that yoga connects you to your community, each other, and yourself. We believe in you. Partners like you are needed to make this incredible, community-building event come to life. If you have an idea on how you would like to help connect to the yoga community or if you want to know what our ideas are, please contact us at info@pranayogafest.com. If you would like to be a vendor at our 2018 Prana Yoga Festival, please shoot us an email and we will be in touch with more information. Tell us about the cool, unique things you are doing in the yoga community and maybe we can find an equally cool and unique way to work together. We are not yet reaching out for volunteers for our next events, but please check back here for more information in the future. Whether it's an idea, feedback, or declaration of your love, we want to hear from you!